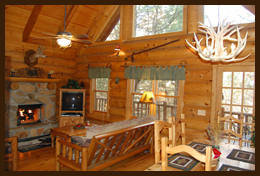 Located deep in the Ozark Mountains at Cassville, Missouri, ParkCliff Log Cabins is your perfect getaway spot. Whether you are interested in fishing, hiking, or just relaxing the local surroundings has it all. There are many things to see and do and Roaring River State Park is home to some of the best trout fishing in the area. 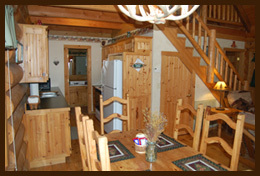 ParkCliff Log Cabins features 3 fully furnished two bedroom cabins with lots of extras. Take a look around the site and view all the photos of the cabins and surrounding areas. 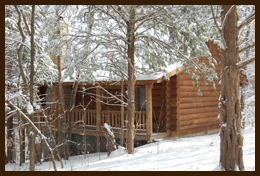 If you have any questions about the cabins or would like to setup a reservation, please contact us.